In light of recent, dynamic changes in extreme weather patterns, earthquakes, fires and deeply concerning acts of terror, it is imperative to fortify your business data with an up-to-date, data protection and business continuity strategy. It’s simply not enough to run nightly backups to local tape, then export copy those tapes to an off-site storage facility, with the hopes that your team can put Humpty Dumpty back together again quickly and reliably from tape-based images. The quality of storage matters to all aspects of business continuity. The days of considering data backups a “nuisance” chore that simply needs the cheapest quality of service are gone. Data protection and business continuity are primary considerations in defining the quality of the business itself. As storage administrators, we are all pledged stewards of protecting our company’s data and the business that relies upon it. At INFINIDAT helping you protect your data and data services is our highest priority. Allow me to introduce you to 6 ways we do just that. #1 – Data service protection begins with the quality of the storage. 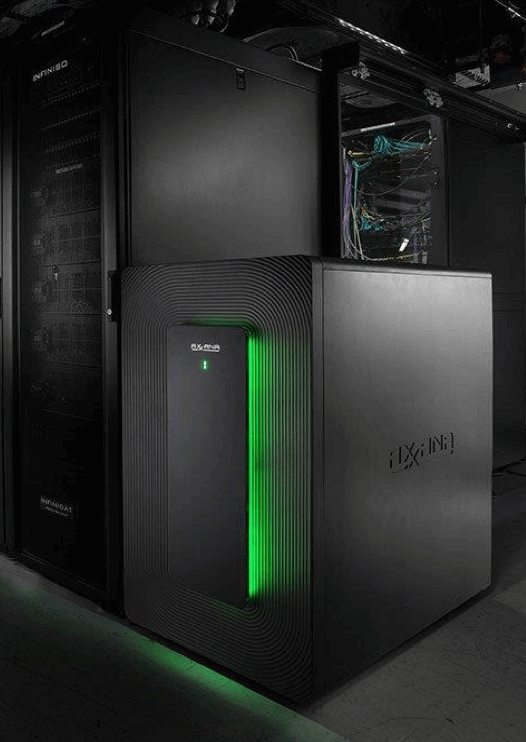 From day one, the InfiniBox™ storage system delivers the highest performance without any compromise of high availability and extreme reliability. With our all-inclusive licensing approach, we deliver seven nines (99.99999%) availability at a scale of 5PB+ in a single 42U rack. That’s massive storage capacity in the smallest possible footprint, with N+3 hardware that is self-healing and comes with the fastest rebuild times in the industry, even in the event of a double drive failure. But we go even deeper with our patented InfiniRAID™ with neural cache management, fast self-healing, and continuous protection against silent data corruption. By using industry-standard hardware with proprietary “software-based innovation,” we drive all this value at the lowest possible TCO. 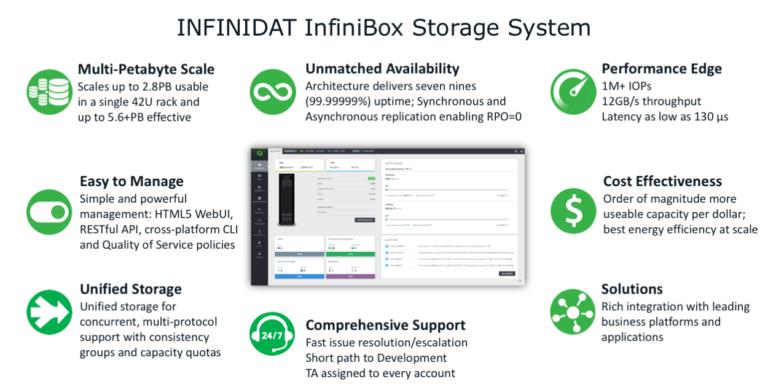 Supporting up to 100,000 snapshots on block volumes and up to 10,000 snapshots (now available with InfiniBox R4) on file systems, with the instant recovery of data, when you need it. Our integrated replication services impose no compromises on system performance. 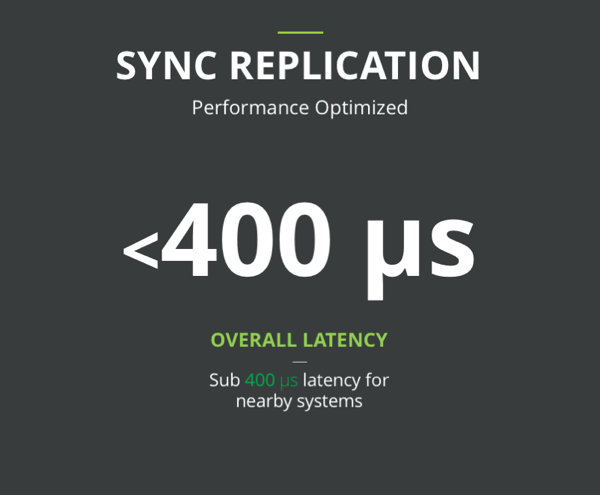 IOPS, latency, and throughput do not suffer as you implement and operate replication under load and at scale. A new offering that protects replication services against all forms of site disaster: extreme heat/fire, flooding, crushing weight, and network communication signal loss. #5 – Data Protection Software Integration. 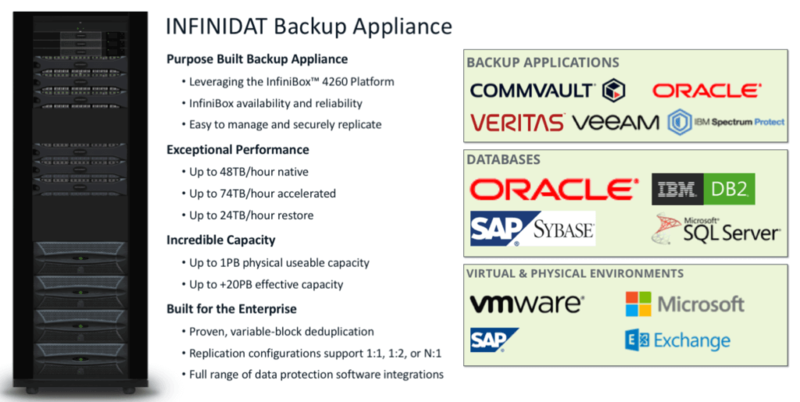 We have worked with data protection software leaders such as CommVault to develop InfiniBox integration strategies that take advantage of our snapshot technology, ensuring the lowest complexity and most efficient backup strategy with those vendors. In the case of CommVault, Intellisnap integration allows you to use capacity on your InfiniBox as a device in your CommVault media agent to provide deduplicated backup with the simplicity of snapshot integration. Yes, on top of all the embedded features for data protection already mentioned, we also offer an innovation in space and network efficient data protection in the form of our INFINIDAT Backup Appliance (IBA). Our IBA is a purpose-built backup appliance with a broad set of ecosystem integration points for leading backup software vendors and common enterprise applications such as Oracle and VMware. Backup and restore performance is incredible, with typical single application data restores delivered at the same performance that they were backed up. This expansion of our product line into an adjacent space complements our current use cases for primary and secondary storage, as well a disk-to-disk backup with applications that provide integrated capacity optimization. With the IBA you can easily integrate common protocols for back-ups such as NFSv3/SMB3/VTL/OST and even special Oracle plugin-based virtual SBT tape devices. We deliver it with a built-in HA strategy that satisfies business continuance requirements in your data backup/restore strategy. The IBA offers secure, concurrent, WAN-efficient replication for up to 2 remote sites, as well as multiple sites replicating to a single site. With a physical capacity of 1PB/frame and an effective/logical capacity up to 20PB, the cost for data protection at scale is easier than ever to manage within your budget without any compromises of performance or availability. So, when we say we have everything that you need for the absolute highest assurance of data protection, we mean it, and we deliver it at the lowest possible Total Cost of Ownership. We take protecting your data very seriously, as you can see from the points above. and would love to talk to you about how we can help you protect your data with INFINIDAT.